Submitted by Migrate Wizard on 2014-06-30 21:47. Be rid of generic loot bags for everything other than miscellaneous items and containers. Now includes drop item models for all Bioware craftable components. 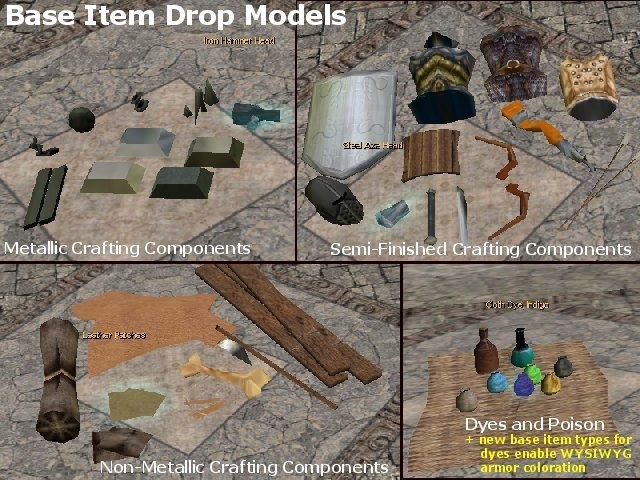 Special thanks to Kinarr Greycloak for providing most of the metallic craft component and new PLT dye pot models, rabbithail for the hide model, and android79 for the dye pot colors prefab. Needed a key, found a key here.